Happy 2018, smexies! I’m really happy that it’s new time of the year where we could work on those New Year Resolutions, in my case that would be getting back to blogging. #persistence. Beside that, I am committed to step up my skincare routine which would give a huge difference on my skin. I am a fan of makeup but over the years as I’m getting mature, I start to embrace my flaws and move to a minimalist look. My makeup bag would normally pack with essentials such as eyeliner, lipstick and BB cushion, which is pretty much the basics in the makeup realm. Moreover, I have started investing more on skin care, getting my facial done regularly (it really improves my skin a lot!) and investing on good skin care brand. With the proper skincare routine, it really does an impact on the skin and we can rely less on makeup to cover up the flaws. I mean, come on! Embrace what you got, baby! This is why in this blog post, I will be sharing the latest gems from Mamonde – The Flower Facial Mask Line. As mentioned in my previous post (click here if you haven't know), I will be reviewing Veet's latest innovated gadget - Sensitive Touch today. A quest of achieving flawless skin shall not be difficult with Neutrogena Deep Clean series. Neutrogena, the name which I have heard since childhood where my mom would hand their products to me, taught me the proper way of taking care of my skin. I was just started my first semester in high school and yes, puberty hit me badly, my face started to grow acne. Horrible acne I would say. However, with the proper technique and using the right product, all those acne were able reduced. 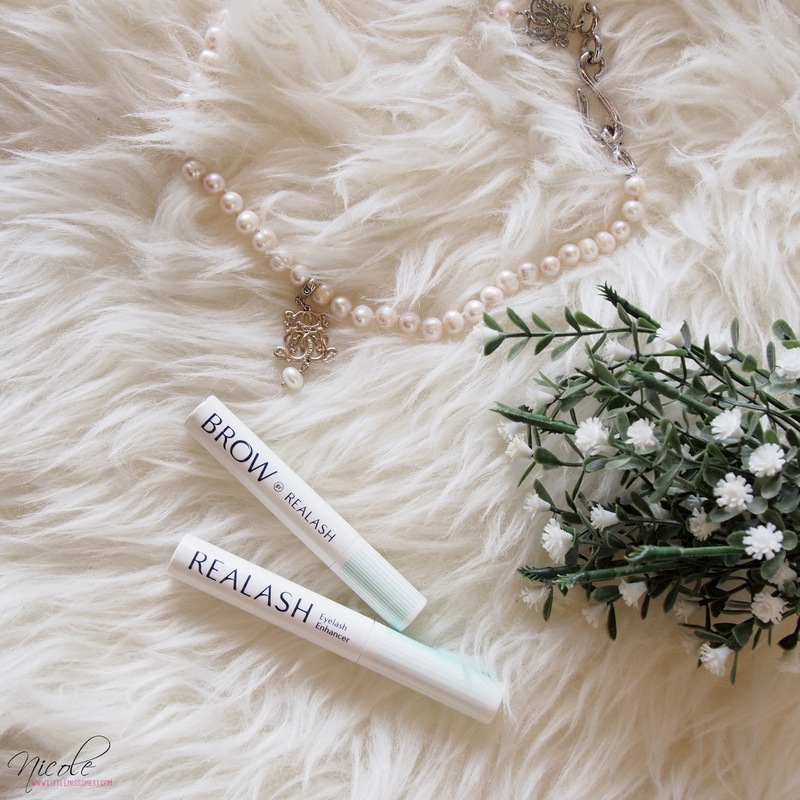 Enhance your lashes naturally with Realash! Yes you heard me right! Ditch all of your fake eyelashes because you could have naturally grown gorgeous lashes! THE Korean Beauty hits its wave to Malaysia again with the new facelift of THEFACESHOP flagship store at Pavilion Kuala Lumpur. The brand has changed to its new identity, combining both elegant classic and modern, which represent the new face of THEFACESHOP. 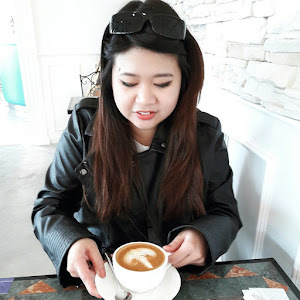 I love to indulge a luxury experience at Manaco, being fancy and all that jazz, enjoying the view of the gorgeous beach while strolling along with bare feet pad along the pebbles rather than smooth sand. Would I ever have a chance of living in luxury life? Maybe yes, because I found the perfect first serum from THEFACESHOP! Crafted with European traditional formula: Thalassotheraphy, it is condensed with 130 hand blended recipes with over 200 years of history! This is where Science meets natural with the infusion of “East Meets West” influenced collection – THE THERAPY First Serum. The First Serum is an essential regimen first step serum water blending formula with Crystal particles and essential oil assures optimum skincare result by restoring balance to the skin. 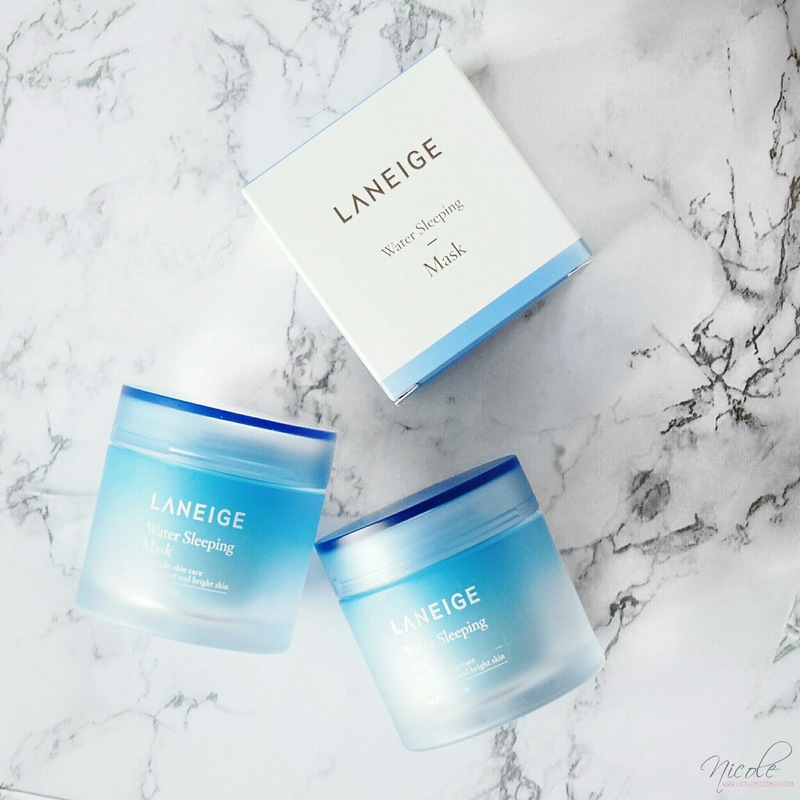 The best part is, it comes with provena anti-aging effect with rich mineral, blue algae that contain high anti-oxidant, perfect for those who want to have the youthful look! What I really love it’s that the serum comes with a mild “salty sea” scent where it brings me to a new beach place while applying onto my skin. I always use it immediately after cleansing, my skin feels soothing instantly and hydrated, it’s like the quench of thirst of my skin is REAL. Also, I always use it as a face mist to relieve my stress at work. While staying in air-conditioned room for a long hour and hectic workload, this serum comes in handy to the rescue! There’s no visible change on my skin but I can feel instant refresh and hydrated! *Product is given by THEFACESHOP as a gift of token. However, it doesn’t affect my personal opinion on this product. The recent haze weather is killing me. The air pollution is affecting my mood and also my health! I have to constantly stay hydrated through a lot of water and avoid out door activities to avoid the overwhelmed bad condition outside! 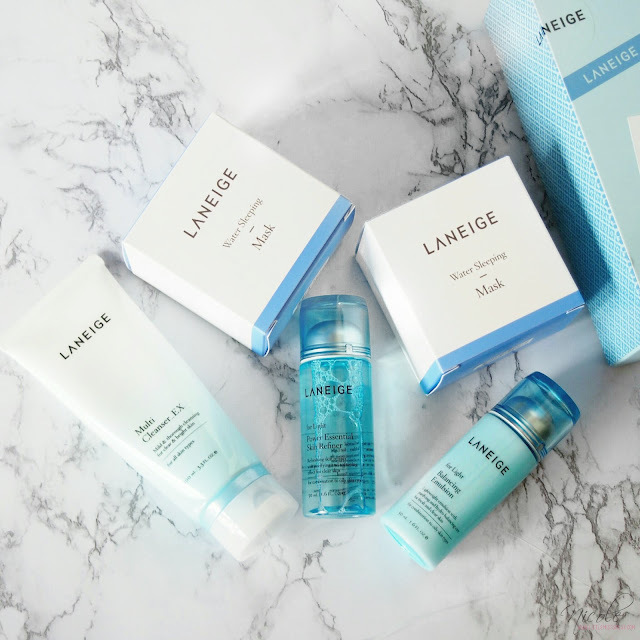 Moreover, I have to restock my skin care products to stay hydrated with Laneige but I always refuse to purchase full range it is kinda pricey to me. 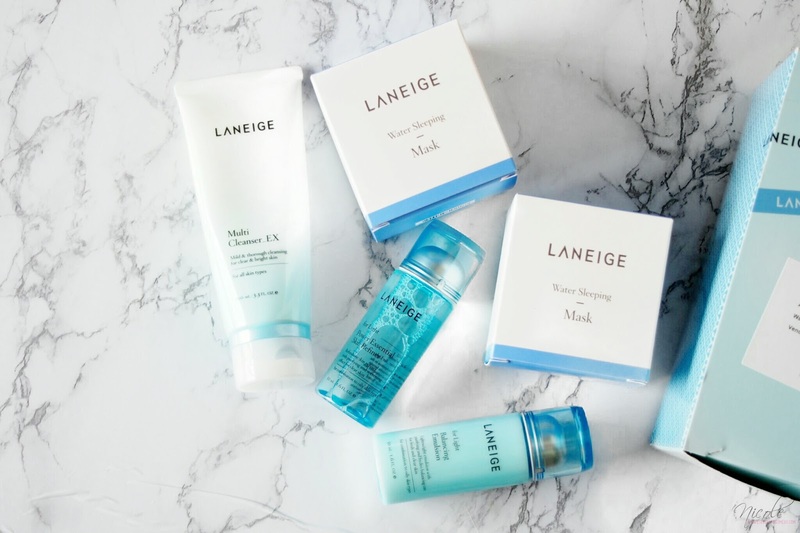 However on one typical evening, I was tired and bored after work so I decided to watch Go Shop to see what products were they advertising AND Laneige was having this CRAZY-LY AFFORDABLE promotion (SERIOUSLY, IT WAS A CRAZY DEAL ALRIGHT) – Two Sleeping Masks + Multi Cleanser_EX + Power Essential Skin Refiner (Softener) + Balancing Emulsion for ONLY (I meant ONLY) RM229! BANG! Right there, that promotion was shown in front of me. I was hesitated to purchase at first but the promotion was on going in the very last 15 minutes! Knowing that I LOVE to bargain offers, I immediately purchased it online and GUESS WHAT – Another RM20 off from Astro Go Shop Merdeka Promotion. The whole package was sold at RM209! Plus, I received the parcel 2 days later in good condition. I’m wondering, has Christmas came early this year? Where can I find this promotion in store? I guess NONE. Can I say that I’m the happiest child on earth? Lesson learnt today: Never underestimate Astro Go Shop, they really do have plenty of crazy offers from genuine brands. And NOPE, I’m not paid to say this. lol. I have to share this out with you all, if you are bored, go to Astro Go Shop channel on their online store to check out their deals. This is one of the best shopping experience for me. What was your best shopping experience? Any crazy offers that you couldn’t miss? Do let me know through commenting below! A little do you know that a simple lip balm can actually change your whole look.